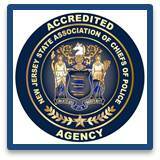 The Marlboro Township Police Records Unit retains the original documents generated by the entire Police Department. Copies of motor vehicle accident reports, property loss reports, or other incidents reported to the Police Department may be obtained through the Records Bureau between the hours of 8:30am and 4:00pm, Monday through Thursday (excluding holidays). Accident reports generally take 5 to 7 business days (excluding Fridays, Saturdays, Sundays and Holidays) before they are available to the public. There is a $.05 per page fee for picking up accident reports in person, payable in cash only. For your convenience we also offer accident reports online and they can be obtained by clicking on the eCrash Icon on the Home Page. The cost will be $10 for individuals involved in the crash/accident and $12 for non-involved parties to a crash/accident. If requesting accident reports through the mail, there is a $5.00 processing fee payable by check or money order made out to Marlboro Township Police. To request your report through the mail, you will need to provide a stamped, self-addressed business sized (#10) envelope, your name, address, phone number, date of accident and approximate location, driver’s name and incident number if the officer has given you one. Accident reports may also be purchased online for a fee by clicking here or by clicking the crash icon on the Home page. Copies of certain other incident types may also be requested from the Records Bureau through an OPRA or Incident/Accident Request form. See forms link below. Alarm systems must be registered and renewed annually per Township of Marlboro Code, Chapter 76. Residential and business alarm fees are $10.00 annually for privately monitored systems. You can also choose “direct connect” police monitoring for a $270 annual fee. An alarm can be registered by coming in to Police Headquarters and picking up a form in the lobby area. The form can also be obtained by requesting it to be mailed, or by clicking on this link. Payment must be made in the exact amount in cash, or by check or Money Order made out to Marlboro Township Police. Be sure to include your name, address and telephone number on the check. Homeowner’s name, address, home and cell phone numbers, emergency contacts (preferably local, with a key and who know how to reset the alarm). Three (3) emergency contacts that are key holders and can reset the alarm (preferably local).